Affresh Washer Cleaner removes and prevents odor-causing residue that can occur in all brands of HE washers. While bleach only kills odor-causing bacteria leaving behind the detergent residue, Affresh Washer Cleaner uses surfactant chemistry to remove the root problem. Affresh cleaner is a formulated, slow-dissolve, foaming tablet that gets under residue, breaks it up, and washes it away leaving the washer smelling fresh and clean. Simply place one tablet in the wash basket (without clothes) and run a Normal Cycle (hot option) or Clean Washer Cycle. Affresh brand is safe on septic tanks, and safe for all washer components. Package includes three tablets. If your clothes have started to smell not so fresh, it could be that your washer just isn't clean. Over time, dirt, grime and oils build up and don't come off in the washing cycles. Some of this odor cauing bacteria stays in the fabrics of your clothing! 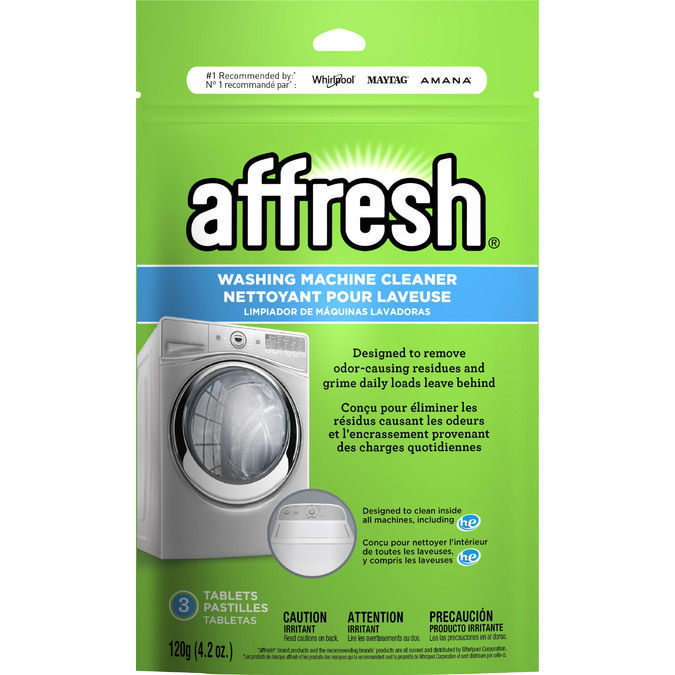 Affresh washer cleaner removes and prevents odor-causing residue that can occur in all brands of washers. While bleach only kills odor-causing bacteria leaving behind the detergent residue, Affresh Washer Cleaner uses surfactant chemistry to remove the root problem. Affresh cleaner is a formulated, slow-dissolve, foaming tablet that gets under residue, breaks it up, and washes it away leaving the washer smelling fresh and clean. Simply place one tablet in the wash basket (without clothes) and run a normal cycle (hot option) or clean washer cycle. Affresh brand is environmentally friendly, safe on septic tanks, and safe for all washer components. Package includes three tablets. 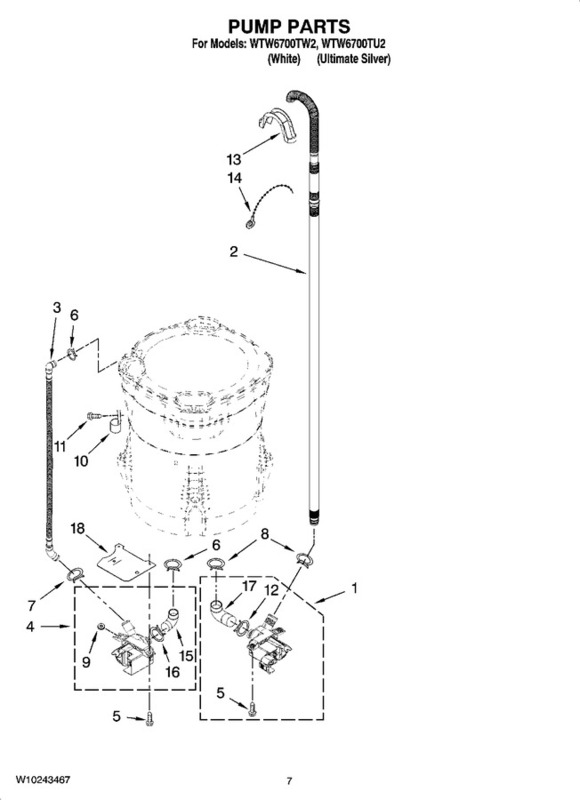 The W10135699 Affresh Washer Cleaner is a stocked item and ready to be shipped to you today.